For many who reach its seaside terrain Turkey offers a historical detour into its culture and living. There are the luxury hotels and market spots where you can plunge into the utterly relaxing care that an exotic spa can give and then there are the health resorts where you can rejuvenate and recover. But Turkey also gets the top points for the vast, clean and surf-friendly beaches that dot its Mediterranean coast on one side and Aegean on other. But a destination that can be worth the effort of traveling bookings you’ll have to make is Alaçatı. This Aegean town that’s flanking the western coast is possibly the most visited hotspot in Turkey’s Izmir province, which by no means dulls its charm for the newcomer! 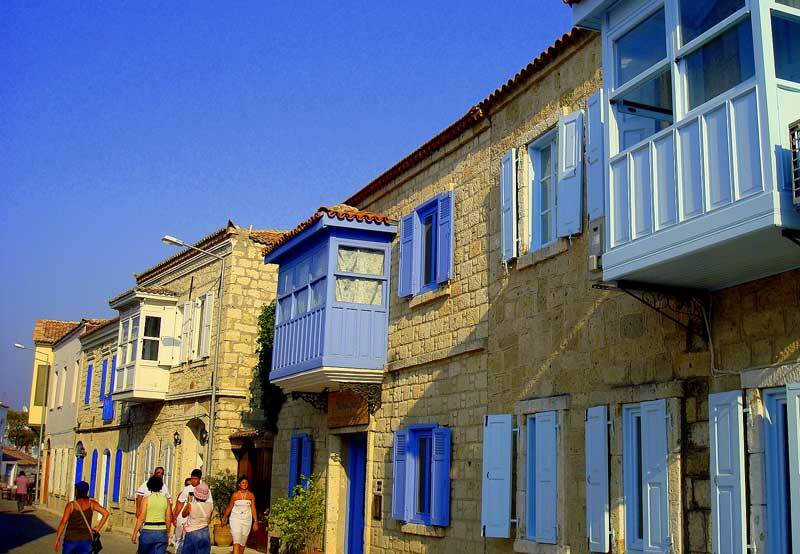 Long known for the quaint stone buildings which were built by the Greek, Alaçatı is a haven for surfers. The Aegean Sea here has clear waters and consistent wind. What it also has a vastly spread pool that works like a natural bay so offers you an excellent opportunity to surf. You can also try out wind surfing in Alaçatı which is equally popular as a sport. The fact that there’s wind but less waves hitting the coast make it ideal for the latter. You can enroll into any of the several windsurfing schools located along the shore. The Babylon Alaçatı is a private beach where there’s a lot of sun to bask on. It’s not really like the usual beaches back home. The air is quite fresh and the beaches are extremely clean. So, walk along the sandy shore and when you’re done tickle your taste buds with local eats like Turkish pizza that’s available on a lot of small stalls on the beaches. Also to be tried is Kumru that a special sandwich spread with garlic sausage, salami as chief ingredients. Its all cafes and inviting terraces at Alaçatı that is a town of cobbled streets you can explore and enter one of its warm and intriguing cafes. Suffused with the sun’s warmth and bathed in different colors and local stuff for the take the streets are an exciting and bustling experience to walk through. From Alaçatı a short drive to Dalyan fares well for a hearty Turkish meal. Don’t miss out on different seafood delicacies here! The Saturday market has fresh local fruit and veggies to buy. Visit it and go home happy with local souvenirs for your friends. You’ll find a lot of antique shops around the mosque. Some sculptors offer delightful works of Ionian culture. Hittite sculptures are particularly famous. The tableware offered by these shops is particularly interesting. It gives you a straight flavor of Turkish pottery imbued with individual aesthetics. Anyone who visits is sure to get a taste of the famous wine of this region. You can book into any of the nice boutique hotels located here and get your summer holidays rocking! Reaching Alaçatı is possible by bus through Izmir or Çeşme and within the town there are minibuses covering different routes.